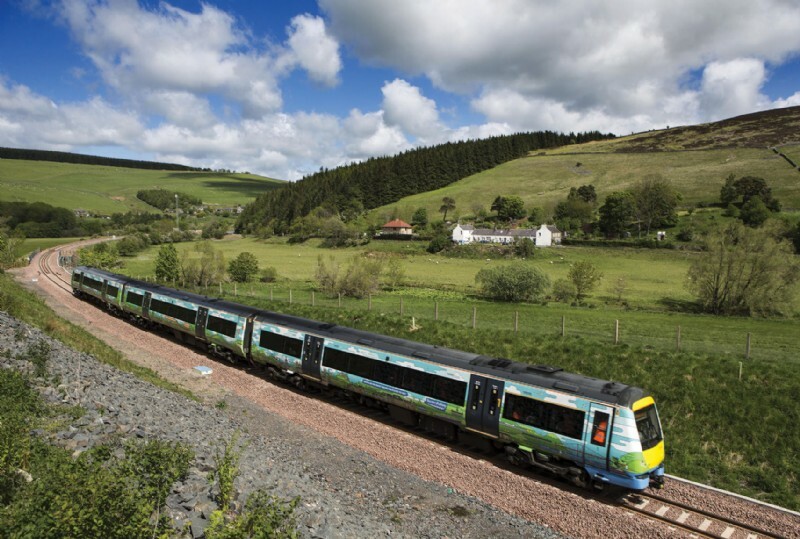 There has been a surge in the number of properties being sold in the Scottish Borders which could be attributed to the popularity of the Borders railway, re-opened in 2015, according to property experts SPC Scotland. The volume of properties being sold in the Borders region has increased by 17.7% year on year, while the average selling price has decreased by 3.5% to £172,008. With a plentiful supply of property for sale across the area, the Borders region is not seeing the pressures on the market from a shortage of properties, as experienced elsewhere in Scotland. The Scottish Borders market is more favourable to buyers than in Glasgow and Edinburgh, where properties are selling quicker and for increasing selling prices. The average selling price in Edinburgh has increased by 6.5% over the last three months, compared to the same period last year, while the average selling price in Glasgow has increased by 9.8%. While many buyers looking for a family home in Edinburgh are being priced out, they can find affordable family-sized housing in a rural Borders setting, and most of these properties sell for at or around their home report value. For Scotland overall, the most recent quarterly house price statistics from Registers of Scotland, covering the period from January to March 2017, shows that the average price of a residential property in Scotland is £162,374, a 2.1% increase compared with the same period in the previous year. The volume of residential sales is also up, with a 4% increase from the same period in 2017. Glasgow is selling the highest number of properties across the country, overtaking Edinburgh, which has its third consecutive quarter of year-on-year decreases in volume. Aberdeen has seen year-on-year declines for the past three years, and which is linked to the decline in the oil market. Clackmannanshire has seen a 20.3% increase in the number of properties being sold, and a 7.7% increase in average selling prices. With an average price of £122,508, properties are more affordable than the average £222,560 in Edinburgh, indicating that buyers are choosing to look outside of Edinburgh for a property. Clackmannanshire provides good transport links, is surrounded by countryside and is half way between Glasgow and Edinburgh, making either city easy to commute to. Tayside is also experiencing a sellers’ market, with a 22% decrease in the number of homes being brought to market and a 5.2% increase in average selling prices (£151,366). With a 1.35% increase in the number of properties being sold, solicitors are reporting instances of homes in traditionally popular areas like Dundee’s West End and Broughty Ferry changing hands within days of going on the market. Orlaith Brogan, spokeswoman for SPC Scotland said: “What we are seeing is that properties in the Borders and Clackmannanshire are proving popular as they offer a more affordable housing option for families and they provide easy links to both the countryside and to cities for commuting.